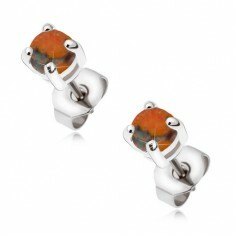 Your favorite product: Earrings made of surgical steel with orange butterfly Z43.06 - is added to the wish list. 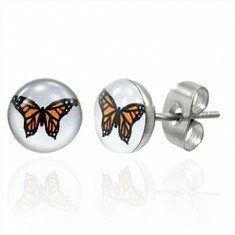 Steel earrings silver color, a white circle with orange glossy butterfly, puzetové fastening. 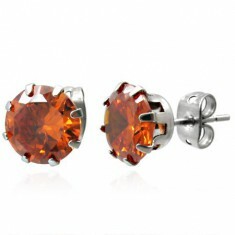 Your favorite product: Steel earrings with orange stone 8 mm M17.27 - is added to the wish list. Earrings made of steel with the amount of dark orange stone. 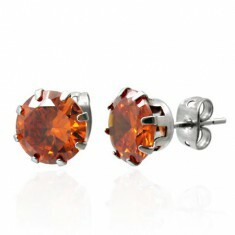 Your favorite product: Earrings made of steel with orange zirconia 7 mm G6.8 - is added to the wish list. Earrings made of steel with the amount of dark orange zirconia. Your favorite product: Steel earrings, orange butterfly X11.20 - is added to the wish list. Earrings made of surgical steel with a white background and an orange butterfly. 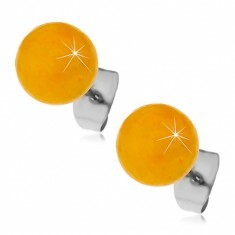 Your favorite product: Steel puzetové earrings with round orange opal SP06.31 - is added to the wish list. Earrings made of surgical steel, smooth orange stone in the cauldron, puzety. 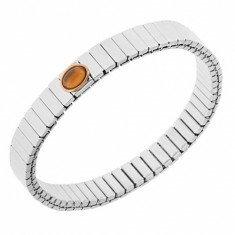 Your favorite product: A shiny steel bracelet silver color, oval orange stone S84.12 - is added to the wish list. Stretching bracelet made of surgical steel, narrow rectangular articles, orange pebble. Your favorite product: Stretch steel bracelet, shiny articles of silver color, ovals, balls S84.19 - is added to the wish list. 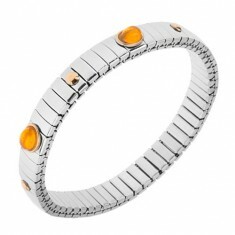 Bracelet of steel with a clearance in order to maneuver strap, silver color, orange ovals, beads of gold color. 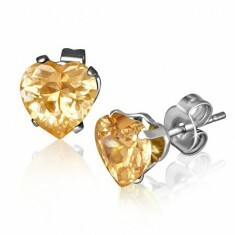 Your favorite product: Shimmering heart-shaped earrings made of steel, a large yellow-orange zircon SP40.03 - is added to the wish list. Puzetové earrings from surgical steel - zirconium hearts in the color of champagne. Your favorite product: A steel piercing in her navel, orange balls with a white spiral AA08.12 - is added to the wish list. Piercing to the belly of the steel 316L in silver colour, two smooth orange beads decorated with a spiral pattern. 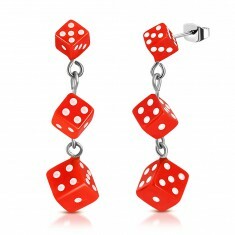 Your favorite product: Earrings made of surgical steel, orange dice with white dots SP28.19 - is added to the wish list. Steel puzetové earrings, three gradually increasing orange-white dice hanging in line under him. 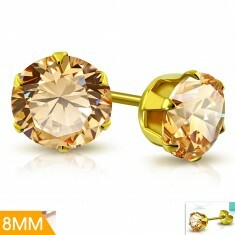 Your favorite product: Earrings made of surgical steel, gold color, light orange zircon in a cauldron, 8 mm AA07.12 - is added to the wish list. Steel earrings gold color with puzetovým polished stainless steel and with a round zirconia in a decorative pot. 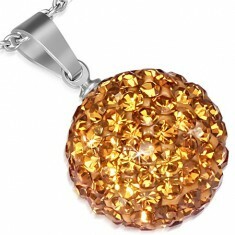 Your favorite product: Pendant of steel - is added to the wish list. Steel pendant, silver heart composed of four parts. 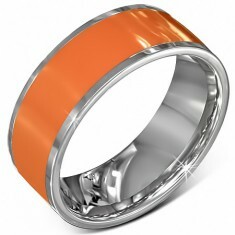 Your favorite product: A smooth steel ring in orange with silver rim J1.16 - is added to the wish list. Ring made of surgical steel, orange-silver with glaze, smooth glossy flattened surface. 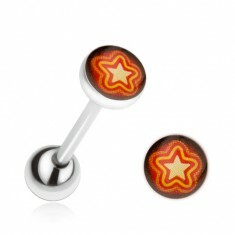 Your favorite product: Piercing in the language of steel, orange - is added to the wish list.